Steampunk. You’ve probably heard the term before. If you’ve been attending any kind of fandom or media conventions in the past few years, you’ve no doubt seen the steampunk costumes. But what is steampunk? Well, we’ll address that in a bit. 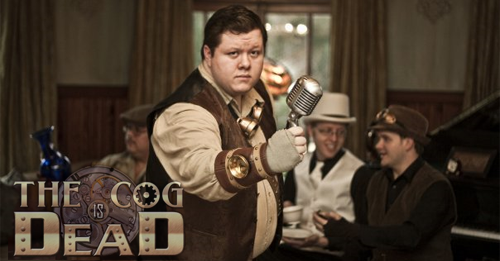 I recently had an opportunity to sit down with The Cog is Dead, a steampunk band that is preparing to launch its first album and make their first convention performance at Jacksonville’s Ancient City Con. They have a wonderfully eclectic sound, and are sure to take the steampunk community by storm. Below is my interview with John Mondelli and Chris Fowle, two of the band’s members. Be sure to check out the end of the article to hear a sample of their incredibly catchy song, “The Death of the Cog,” and to get links to where you can hear more.